Yesterday evening, some friends of mine jumped the broomstick--literally. 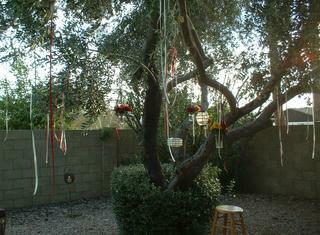 They had a Celtic handfasting/wedding ceremony in their back yard, uniting two dear friends. The ceremony was lovely, one of the best weddings I've ever been too, the vows sincere and beautiful. The rest of us have always known these two should be together. It only took them about ten years to figure it out. About time, guys. 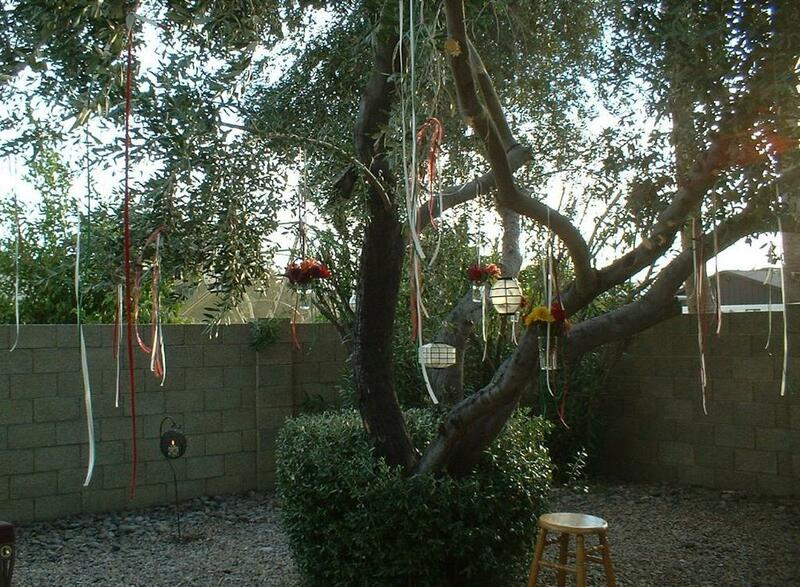 Here's a photo of the tree all decorated under which they had their ceremony. More photos are at http://www.jennifersromances.com/ChrisPatWedding.html. How very cool! What a neat way to get married. About time they got together indeed!